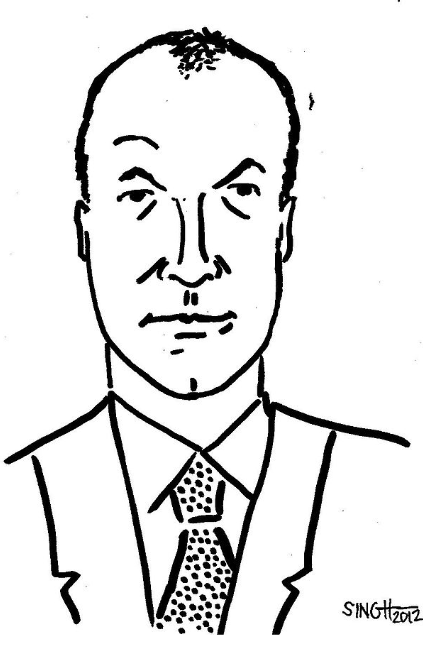 Paul Tudor Jones II, casually known as PTJ, is regarded as one of the most successful traders of his time, and perhaps all time. How to describe the man, the myth, the legend? Well, Vincent Veneziani, author of The Greatest Trades of All Time, described Jones at the “epitome of what people think of when they picture a ‘Wall Street trader.’” That should give you an idea. He started out in 1976 as a broker for E.F. Hutton & Company, departing after four years to strike out on his own. He applied and was accepted to Harvard Business School but turned down the schooling, deciding the field was the best education he’d receive. After founding the Tudor Investment Corporation, he landed one of his most successful trades on 1987’s Black Monday. With his focus on large amounts of short positions, he was able to triple his wealth during the market crash. For the record, Jones’ estimated net worth is estimated at $3.3 billion. Not chump change. Jones, a “self-proclaimed master of global macro trading,” uses global macro trading strategies to identify incorrectly-priced securities and understand market cycles. While most traders think their models can guide them toward accurate market predictions, Jones trades on the assumption that the market is always fluctuating, meaning he needs to have a broader understanding of the economy in order to figure out how the markets might behave. To say the approach has served him well would be an understatement. But every trader—even a man as smart and successful as Jones—has made at least one trade that has cost them more than they cared to lose. For Jones, the one painful trade that sticks with him came in the late 1970’s in Cotton. He felt pretty good about it... until it rebounded over 30 points. Soon after he initiated the transaction, he realized just how costly a mistake he’d made. The now defunct Refco, Tudor recalled, was in a position to sell at the newly established highs he’d help create. Tudor quickly realized he was in trouble. He had to get out of his position the next day. He managed to sell about 150 contracts before the market hit its limit. He wound up selling some contracts at about 4 cents below the price at which he got them. Tudor estimated that his poor judgment cost him about 60 to 70 percent of equity on the accounts he handled. Ouch. Don’t average losers. Instead, don’t trade as much when you’re doing badly and kick up your trading when you’re doing well. Get out of trading positions that are making you nervous. It’s okay to remove yourself. You can always return to it down the line. Don’t get stuck on how you got into a position; only ask yourself if you’re bullish or bearish on a position. Play offensively, not defensively. The position you have is probably wrong, so determine your stop points. That way, you’ll know when you absolutely have to get out. Don’t get too confident in your abilities. It’s important to keep your ego in check at all times, because it’s impossible to beat the market. But there’s one more take away from Tudor’s Cotton trade. Afterwards, he said, he seriously considered giving up trading. As a man who’d only been in the business for a few years, he wasn’t sure he was cut out for it. Luckily for him and his clients, he didn’t, and there are now a lot of wealthy people out there as a result. The lesson there is one we repeat often and early: don’t give up because of one bad trade. Learn from it.